Often people tend to lose or damage their chargers and end up hindering the efficiency of their laptops by using some local branded chargers which aren’t fit for branded products. If you are a Lenovo customer and still using those unfit cables for charging your laptop, then you have to continue reading this article and know more about our Laptop Repair World. Laptop Charger stock available for Lenovo IdeaPad, Flex, Yoga, ThinkPad and Chromebook. Generally famous for their batteries, Lenovo is also well known for their potential charging cables and adaptors which range between 40W and 65W. But incorrect ways of using these chargers or using laptops while charging might damage them. So, know our services and reach us if you are satisfied with our varied range of services offered. We have seen many customers who have replaced their branded chargers with some regular and non-compatible ones without recognising the fact that it damages the whole laptop. So instead of replacing them with some local or other branded chargers, we suggest you to come here and get your Lenovo laptop charger replaced with an original one. You don’t have to panic about the price, as you can our customers always providing an amazing feedback of getting branded products at a best rate next to wholesale price. 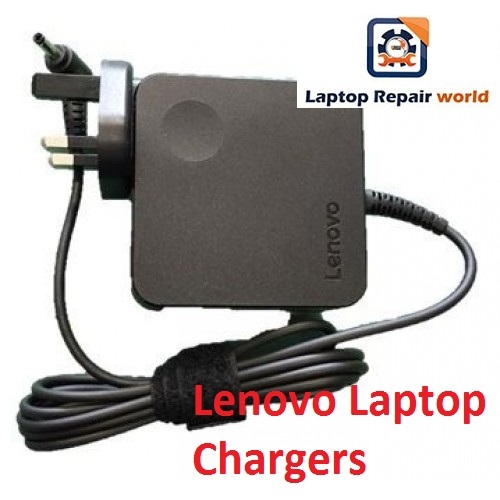 To your knowledge, we often sold Lenovo laptop chargers within Rs.1400; even it is a high-end model. Also this is the maximum cost charged and any other model will cost you less than that. We don’t push our customers to replace the product if we feel that any repair might fix the old charger. We have employed professionals to take care of your devices and we also have a history of delivering everything within mean time. Often when you repair your devices, you might notice a decreased quality and lifetime of your product which don’t long for longer periods. But we always make sure that every single repair we undo should also increase the productivity of the gadget. So, next time when someone suggest you to use some non-compatible charger for your branded Lenovo laptops, then simply reject their advice and join us at our store. We don’t guide anything without a proper examination and recommend you to replace or repair whichever is the cheaper and best way possible. Quality is our utmost guarantee and pricing is also fair. The repair costs are also very minimal and ensure the best Laptop service in hyderabad. If you have any further queries, then try contacting us here before reaching our store. We are available both online and offline in the work hours.